Intranet Focus | Intranet strategy & management | Information management consulting services. Intranet Focus Ltd provides a unique range of information management consulting services. The company was established in 1999 since when we have carried out projects in the UK, the rest of Europe, the USA and the Middle East. Over the last few years much of our work has been in the pharmaceutical and professional services sectors. Most of our intranet projects involve advising on governance strategies, building business cases for intranet investment, defining stakeholder and user requirements and developing approaches to assessing intranet performance. Our largest project involved over 170 interviews in 13 countries, including China and Japan, with a team of five consultants. We also advise on migration strategies for intranets. We estimate that the total number of employees in organisations for which we have developed intranet strategies is close to 500,000. Information management good practice is at the core of our work. We focus especially on information risk and information quality. Some years ago we developed an information charter which is a summary of what we consider all organisations should adopt as a work ethos. An important element of this work is to ensure that organisations understand the implications of working in teams in which one or more of the members are working virtually on a regular basis. We are based in the UK but have long-established relationships with consultancies in Australia, Denmark, France and the USA. We have a library of over 4000 research papers and reports, and 150 books, on all aspects of information management. The topics covered in Information Plus also indicate the range of expertise we bring to engagements. 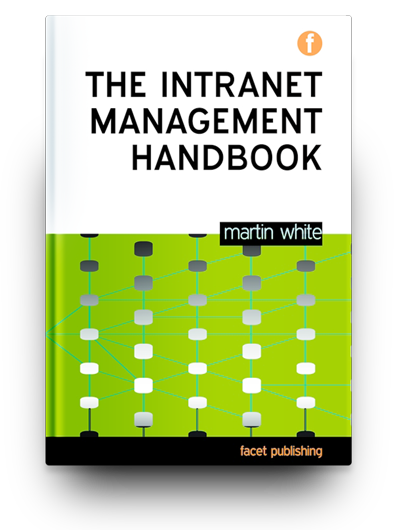 The first book to offer practical advice on intranet management, based on the work of the author as an intranet consultant over the past fifteen years. 2nd Edition: Is your organization rapidly accumulating more information than you know how to manage? 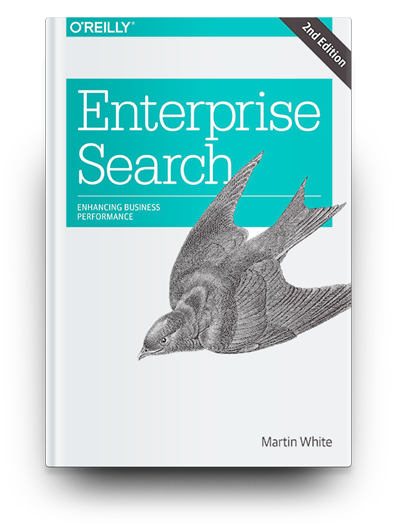 This book helps you create an enterprise search solution based on more than just technology.